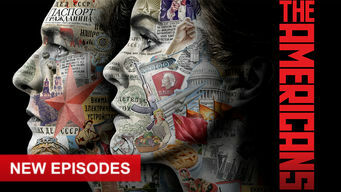 How to watch The Americans: Season 6 (2018) on Netflix Finland! Sorry, The Americans: Season 6 is not available on Finnish Netflix, but you can unlock it right now in Finland and start watching! With a few simple steps you can change your Netflix region to a country like Japan and start watching Japanese Netflix, which includes The Americans: Season 6. We'll keep checking Netflix Finland for The Americans: Season 6, and this page will be updated with any changes. The Americans: Season 6 is not available in Finland BUT it can be unlocked and viewed! Set during the Reagan presidency, this Cold War drama follows two married Soviet sleeper agents living discreetly near Washington, D.C. They're a hot young couple trying to live the American dream. Except ... it's the Cold War and they're Soviet spies. Season 1 of The Americans has 13 episodes. Because different Netflix countries have different availability for episodes, you'll need to check the episode listing below to see which are available in Finland. This drama explores the complex marriage of two KGB spies posing as Americans in Washington, D.C., shortly after Ronald Reagan is elected president. When Philip and Elizabeth are tasked to plant a bug in Caspar Weinberger's office, they risk exposure when Weinberger's maid refuses to cooperate. Philip and Elizabeth discover that their murdered colleague Robert had a wife they never knew about, and they try to determine what she knows. When an assassin attempts to kill President Reagan, Philip and Elizabeth scramble to handle the fallout within the KGB. A crucial agent crumbles under emotional distress and threatens to topple a valuable network of KGB informants. A mole hunt within the KGB causes suspicion amongst allies and shatters trust within the Jennings's marriage. Philip and Elizabeth's marriage is further tested when a mission to discredit a Polish pro-democracy leader reunites Philip with his old flame. Philip and Elizabeth must stop an assassin from taking out key US scientists, while Stan and the FBI hunt the same man. Philip and Elizabeth are put to the test when a routine mission goes wrong. Stan and the FBI are pushed to the limit when one of their own disappears. Stan pursues a lead that puts him on the trail to one of Gregory's crew members, closing the gap between him and Elizabeth. Events in Moscow strike a personal chord for Elizabeth, leading her to take on a dangerous mission she can't complete without Philip's help. One of Elizabeth's agents has key intel for sale, but she and Philip find themselves taking increasingly greater risks for what could be a set-up. When Philip and Elizabeth are ordered to go through with a meeting that could be a set-up, they find unexpected truths about their relationship. Season 2 of The Americans has 13 episodes. Because different Netflix countries have different availability for episodes, you'll need to check the episode listing below to see which are available in Finland. Elizabeth bounces back from injury and straight into a mission that goes awry, leaving her and Philip in fear for their entire network. As Philip investigates the fallout from the last operation, Elizabeth receives a mysterious distress signal; a walk-in arrives at the Rezidentura. 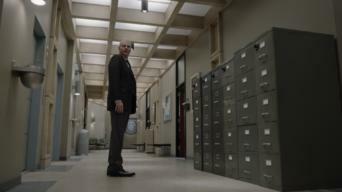 Philip questions Elizabeth's readiness for action; Stan is praised for tracking the KGB walk-in; Paige looks into her mother’s family background. An old friend's return complicates life for Philip and Elizabeth; rifts deepen among the Soviets; Martha’s vexation threatens to blow Philip’s cover. Philip and Elizabeth meet their new handler as Philip cleans up a mess and Elizabeth, disguised as Clark's sister, tries to fix things with Martha. Philip and Elizabeth’s mission revolves around a dangerous naval officer; Elizabeth accesses Capitol Hill; Stan weighs the costs of protecting Nina. Philip uses Duluth to gain access to an Internet precursor so that the KGB can bug the American government; Nina faces the threat of an FBI polygraph. Philip and Elizabeth face painful turns in their missions; Stan fights for access to a military program that could give him the upper hand with Oleg. Philip and Elizabeth’s mission turns ugly, impacting each of them in different ways; Stan digs in deeper at work as his personal life unravels. Philip calls on Annelise for assistance just as an old foe returns with a vendetta; Stan's discovery could put the FBI hot on the illegals' trail. Elizabeth makes a shocking discovery about Kate; Philip pursues a contact for information about stealth; Stan continues his pursuit of the illegals. Elizabeth rushes to exfiltrate Jared while Philip readies Fred for a crucial mission; when Arkady plays his hand, Stan must make an impossible choice. No one is safe as Philip and Elizabeth evacuate their children while trying to complete their mission; Stan holds Nina's future in his hands. Season 3 of The Americans has 13 episodes. Because different Netflix countries have different availability for episodes, you'll need to check the episode listing below to see which are available in Finland. When Elizabeth loses key intel, Philip enlists Annelise on a mission that takes an unexpected turn. An old comrade sows tension in the Jennings home. Philip and Elizabeth clean up after a job gone wrong, while Stan welcomes a Soviet defector to America and Nina adjusts to her new life. Danger mounts as Elizabeth and Philip close in on the CIA's Afghan group. Meanwhile, Martha tries to talk Clark into a major life change. Philip faces a moral dilemma when he's told to recruit a young asset, Stan follows a troubling hunch, and Paige makes a surprising birthday wish. As Philip juggles the many women in his life, Elizabeth takes drastic steps to keep a mission on track and Stan seeks help from an unlikely ally. After Paige's big moment in church, Elizabeth decides it's time to move forward with her plan. News from home makes Philip's mission more urgent. As they home in on a South African agent, Philip confronts Elizabeth about her field trip with Paige. A discovery at work leaves Martha shaken. Martha and Clark’s marriage faces its biggest test yet, Elizabeth turns to Gabriel with a difficult request, and Nina takes on a new assignment. While following a tip from Martha, Philip and Elizabeth contend with unexpected collateral damage. 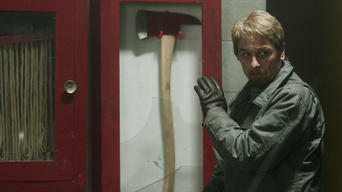 Stan and Oleg hatch a plan to win Nina's freedom. Elizabeth and Philip lay the groundwork for a visit from the Mujahideen. Meanwhile, Henry bonds with Stan and Paige asks her parents for the truth. A nervous Martha is called in for more questioning, Nina grows closer to Anton, and Elizabeth juggles multiple missions amid difficult news from home. As Philip and Elizabeth work a formidable Mujahideen commander, an unexpected guest puts Martha on edge and Paige acts out. A trip lands Elizabeth and Paige in dicey territory, Philip carries out a difficult mission, and Stan's plan to save Nina has unforeseen consequences. Season 4 of The Americans has 13 episodes. Because different Netflix countries have different availability for episodes, you'll need to check the episode listing below to see which are available in Finland. Martha learns the horrifying price paid to protect her from suspicion. Philip and Elizabeth receive a nerve-wracking new mission involving bioweapons. Elizabeth finds out about Paige's phone call to Pastor Tim. Nina risks asking her husband for a favor. A vial exchange goes terribly wrong. A betrayal stuns Paige. The Center decides how to handle Pastor Tim. When an emergency strikes, Elizabeth and Philip race to find William. Elizabeth develops troubling symptoms. Martha tries to be convincing during dinner with Agent Aderholt. Nina faces the consequences of her good deed. Philip and Elizabeth pay a special visit to Pastor Tim and his wife. After learning that Martha is being tailed, Philip worries for her safety. At a safe house, Martha's increasing panic threatens to blow the Center's cover. Stan and Aderholt find a lead in their investigation of Martha. The Center races to capture -- or permanently silence, if necessary -- a runaway Martha before the FBI can zero in on her location. Martha's departure haunts Philip. Elizabeth is forced to turn against a contact. Gabriel realizes his agents have reached their breaking point. William shares a moral dilemma with Philip. Elizabeth reluctantly forges ahead with the Young-hee operation. A TV movie rattles the Jennings family. When Pastor Tim goes missing in Africa, his wife confronts Philip and Elizabeth. A newly retired Gaad receives an unexpected visit. Elizabeth forces herself to complete the final phase of her mission with Young-hee's family. Paige witnesses her mother's KGB training in action. William reaches his limit. Aderholt finds a bug. Oleg gives Stan intel on a KGB mission. Paige takes advantage of her relationship with Stan's son. Unaware he's being followed by the FBI, William heads to meet Philip for his last drop-off. Philip's son Mischa sets off on a personal mission. Season 5 of The Americans has 13 episodes. Because different Netflix countries have different availability for episodes, you'll need to check the episode listing below to see which are available in Finland. For their latest mission, Philip and Elizabeth are given a new "son." Back home in Moscow, Oleg starts his new job. Mischa sneaks out of the USSR. Stan learns the CIA has plans for Oleg. Elizabeth follows Morozov to a greenhouse lab in Illinois to see if he's working on a biological weapon. In Yugoslavia, Mischa must decide whether to trust an unfamiliar contact. Elizabeth and Philip are sent to a lab where wheat pests are being bred. Philip and Elizabeth must seduce two sources. Stan makes a bold move to get the CIA to leave Oleg alone. Oleg learns a secret about his mother's past. Elizabeth learns of an interesting development with Evgheniya and finds out what Ben's mission at AgriCorp is. In the U.S., Mischa arranges a meeting. Gabriel drops a bombshell on Philip and Elizabeth. Spurred by the childhood flashbacks he's been having, Philip seeks to learn more about his father. Elizabeth and Philip follow Ben to Mississippi to steal a wheat sample. Stan faces consequences at work. Paige makes a difficult change in her life. Unexpected visitors call on Oleg at his parents' home. Evgheniya is caught hiding a secret. Stan and Agent Aderholt negotiate an agreement with Sofia. 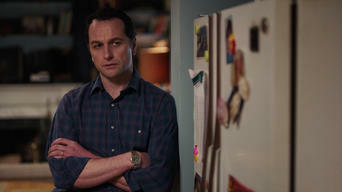 Philip hears a disturbing conversation on the latest recording of Kimmy's father. In Moscow, Gabriel visits Martha. Tuan starts acting suspiciously. Comments in Pastor Tim's journal upset Paige. Sofia reports a promising development to Stan and Aderholt. Philip surprises Elizabeth with a do-over. An update from the Center on the Lassa virus and a questionably justifiable new assignment lead Philip and Elizabeth to consider a major change. When Morozov refuses to go back to the USSR despite his son's increased suffering, Tuan rashly sets in motion a dangerous plan to change his mind. Elizabeth gives Tuan some candid advice. Martha is given a chance to be happy. Kimmy's father drops another bombshell in his latest recording. Season 6 of The Americans has 10 episodes. Because different Netflix countries have different availability for episodes, you'll need to check the episode listing below to see which are available in Finland. Three years later, a recently returned Oleg contacts Philip. Now in college, Paige works undercover. Elizabeth is given high-risk intel. Stan learns informant Sofia has a new male friend. Elizabeth gets insider info on President Reagan. Paige witnesses an operation that goes very wrong. The Jennings take opposite approaches toward Paige. Stan learns Sofia spilled to Bogdan. Elizabeth conducts a "security audit" of the sensors' shipper. Oleg presses Philip to reveal what Elizabeth is working on. Paige joins her mom on an operation to steal a sensor. 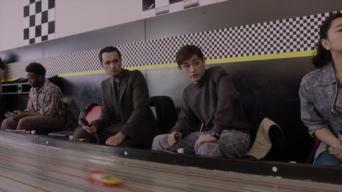 Philip breaks bad news to Henry. Elizabeth targets Gennadi and asks Philip to help force intel out of Kimmy's dad. Paige puts her self-defense skills to use. Oleg runs into Tatiana. Henry notices changes at home. To get info on Nesterenko, Elizabeth gets chummy with Sen. Sam Nunn's intern, but later accepts a much riskier mission. Stan grows suspicious when Philip leaves to join Elizabeth. Before the extraction operation, Elizabeth shows Philip the pendant she received in Mexico. Philip makes a confession to Elizabeth, who tricks Sen. Nunn's intern into bugging a summit meeting. Later, she receives orders to kill Nesterenko. Aderholt learns Father Andrei may have KGB ties. 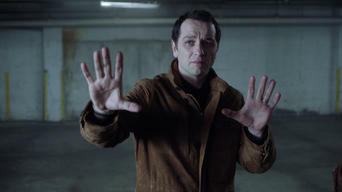 Oleg is arrested during a dead drop. Elizabeth watches for an assassination attempt on Nesterenko. Aderholt plays hardball while interrogating Father Andrei. Stan surveils Paige's apartment. Philip and Elizabeth make an extremely difficult decision.